Can corals survive climate change? This is a question on the minds of many environmentalists and researchers these days. The short answer is: probably, but coral reefs as we know them likely cannot. Every coral may not go extinct, but reefs are degrading and will continue to do so if the status quo is not altered. However, there is hope for this poster child of climate sadness. Corals have ability to cope with stressful situations (some better than others, of course). They can adapt to stressful conditions (this takes generations) or the can acclimatize (this can happen relatively quickly). Adaptation requires genetic change. A few months ago we published an article detailing how corals can genetically adapt to climate change. It turns out that corals whose parents come from warmer areas are more likely to survive heat stress as larva. This basically means that corals from warmer areas can produce baby corals that are better able to cope with hot temperatures. These corals can then have babies that are even better at surviving hot temperatures, and so on. This is how adaptation works. Corals that are not adapted/acclimatized to cope with heat bleach when temperatures raise. Recent research in American Somoa has shown that in some enclosed basins temperatures can fluctuate up to 10 degrees Celsius per day (much more than a normal reef where temp ranges are 3-5 degrees per day), yet there are corals surviving in these bays. 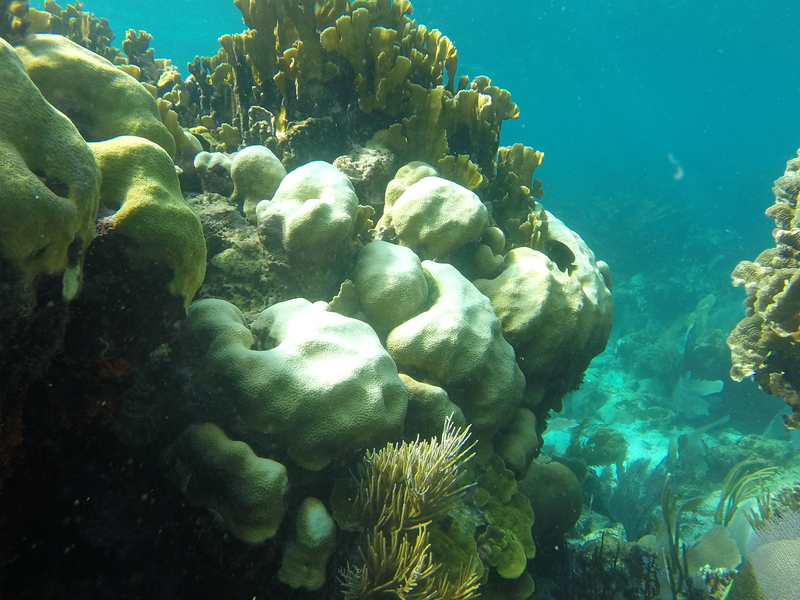 The study suggests that previous exposure to fluctuating temperatures over the lifetime of a coral (aka acclimatization) has helped these corals survive. Corals like these have been dubbed “super corals” by researchers and media alike for their amazing ability to live in conditions once thought unlivable. For more detail on the Somoan corals and further research into their super powers, read this great post by Grist writer Amelia Urry. Super corals exist in other basins as well. The Red Sea is a veritable treasure trove for super corals, as water temperatures in the shallow basin can reach 36 degrees Celsius in the summer. 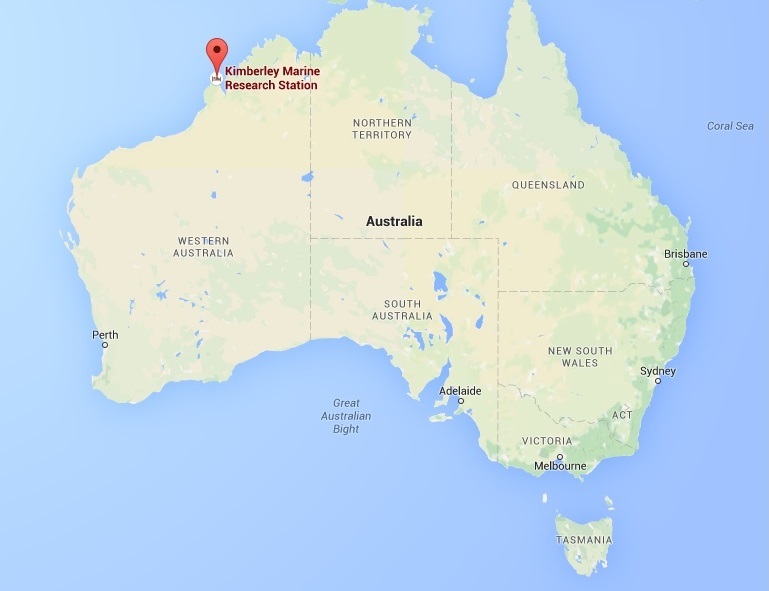 Another, less studied locale that houses super coral is Kimberley, Australia. 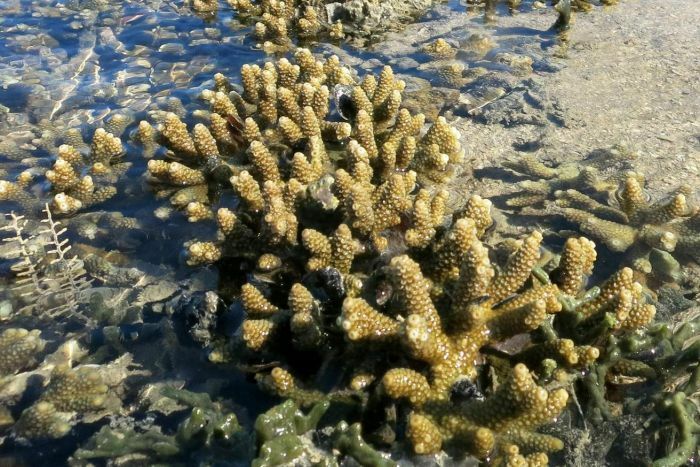 In Kimberely some corals live in the intertidal zone, which means that they are exposed to the air (and heat!) for hours at low tide. Kimberley, Western Australia. Due to its remote location, the reefs in this area are not as well studied as the Great Barrier Reef in the east. Obviously exposure to air and heat is not exactly a coral’s idea of a good time, and yet… they live. Somehow. Dr. Verena Schoepf and her colleagues at the University of Western Australia wanted to find out how. Branching corals at low tide. Corals in the intertidal can face exposure to air and temperature fluctuations of up to 7 degree C (30-37 degrees C). Dr. Schoepf and her colleagues collected corals from the subtidal (below low tide) and intertidal (above low tide) and exposed them to 3 different treatments: average ambient temperature (32 degrees C), ambient temperature +2 degree C, and an extreme stress treatment of ambient temperature + 3 degrees C). Overall, corals from the intertidal remained healthier longer in the extreme temperature treatment. However, they still bleached. The results of the study show that corals from warmer and more variable environments are better able to withstand temperature stress, but they aren’t invulnerable. Superman has his Kryptonite and super corals have extreme temperature stress. There is a limit to the thermal tolerance of super corals. The study demonstrates that corals can cope with warming temperatures, but that their abilities to cope have limits. If temperatures rise too much too fast corals will not be able to keep up. This is especially relevant right now in light of the current climate negotiations in Paris. Talks are underway to try to prevent global temperatures from rising by 2 degrees C (among other things). To follow the Paris Climate Talks simply google “Paris Climate Talks”, bookmark ClimateDesk, or follow this link for up to date info from the New York Times. If you are interested in learning more about how scientists are trying to help create “super reefs” check out the video below. Scientists from the University of Hawaii are currently working to find the best “super coral”, raise them, and then transplant them to Hawaiian reefs. Tags: Australia, climate, Climate change, Coral, Coral reef, coral reefs, Hawaii, paris. Bookmark the permalink.